Do you want or need to stay connected while you travel? 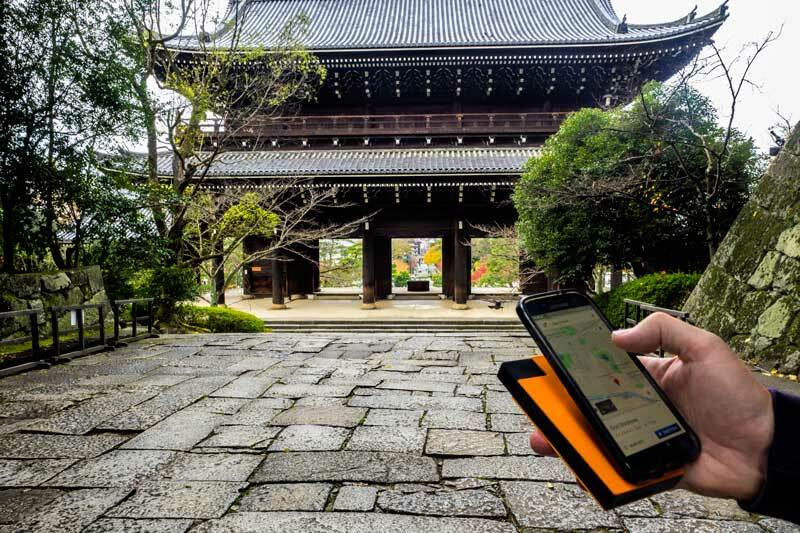 We look at the options, what to consider when weighing up your requirements, and share our own experience with pocket WIFI in Japan. When travelling somewhere new, especially when you’re not fluent in the local language, it can be incredibly useful to stay connected throughout the day. We found this recently when we spent a couple of weeks travelling Japans Golden Route from Osaka to Tokyo. Public WIFI exists but is far less commonplace in Japan than you would think in such as high technology country. We’ve travelled in Japan a number of times and know first hand that being able to use Google Maps, translation apps, read QR codes and check train connections and timetables is invaluable. On earlier trips when these devices weren’t commonplace we would do our research in the hotel or over breakfast in a coffee shop with free WIFI but it does have it’s limitations and no matter how well you plan there are benefits in being able to adjust on the go. The questions is whether that convenience balances out with the cost for your personal needs. Each option has it’s pro’s and con’s, and are best suited to certain styles of traveller and usage. The least cost, even free option is to use WIFI that is available in some public locations or included with other expenses such as your hotel or breakfast at a cafe. For travellers that have very little online requirement, perhaps you want to pick up emails once a day or post to social media when available this can be sufficient. Free WIFI bandwidth is usually not sufficient for data streaming or to make voice over data calls using services such as WhatsApp. Over the years almost all of the hotels we’ve stayed in have offered free internet connection, some in the past have been LAN connection only (not suited to phones or tablets) but on recent trips WIFI in public areas of the hotel and in the room has been usual. You’ll also find free WIFI in many chain store cafes and restaurants and some public places and attractions. When using any public network always ensure your virus and intrusion protection on your device is up to date. In many countries it is now possible to buy a local SIM card with a data pack or in others to rent a SIM card. The SIM card option generally gives you phone and data usage and can be a good option if you need to make or receive regular phone calls while travelling and depending on your provider can be a lot cheaper than Global Roaming with your own carrier. As it’s not your regular phone number you will need to contact anyone that may want to contact you and provide them with the temporary contact details. The SIM option will suit you best if your primary requirement is phone calls and data is a lower priority and usage. The data pack attached to rental SIMs is usually quite low and you want to read the terms and conditions carefully when comparing plans as many will charge excess usage at a rate that is very high. This can lead to a nasty unplanned expense at the end of your holiday. Global roaming with your home country provider can be convenient for short trips. If your primary need is to check emails or other functions that are easily conducted on the mobile phone this can be a simple option but can be a very expensive choice. The benefits are that you have your own regular phone number and once you’ve set your phone and account to global roaming you just need to go, there is no planning required. If you intend to use global roaming check with your provider to be sure you are aware of all the associated costs and find out whether you’re on the plan that’s best suited to travellers. With Vodafone in Australia we can pay $5 a day to access our existing plan while travelling. The downside for us is that we travel as a couple so we pay for both phones and although you can use tethering to serve the data to another device it really is most useful if you plan to do almost everything from your phone rather than connecting laptops and tablets. If you go over you’re data plan limits there are also additional charges. Pocket WIFI is an option that I’ve used a few times in the past year. The newer devices are about the size of a standard mobile phone. They are wireless so you carry them with you in a pocket or bag and charge them up overnight. The number of connections vary but the one we had could serve WIFI for up to 5 different devices at a time so the whole family or group can travel on one device and the speed is excellent, we had 4G the whole time on our recent trips. Pocket WIFI doesn’t give you the ability to use your standard phone number so if that’s a deal breaker for you this isn’t the right solution. We use WhatsApp for making voice calls over WIFI to stay in touch with family and friends if required. 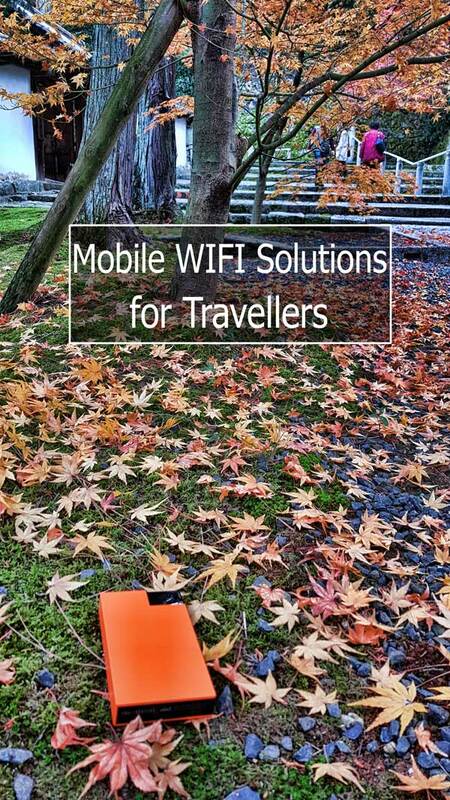 With the Pocket WIFI you will pay for the duration of the trip when you book and receive it in your home country or the number of days you are in possession of the device if you collect it at the destination. mostly because we knew it would make our travel so much simpler given we were going to be venturing off the tourist trail a bit in a country where we don’t fluently speak the language. Wifi2Go Australia provided us a complimentary device to use on this trip after we had been through this process of assessing our requirements and options. 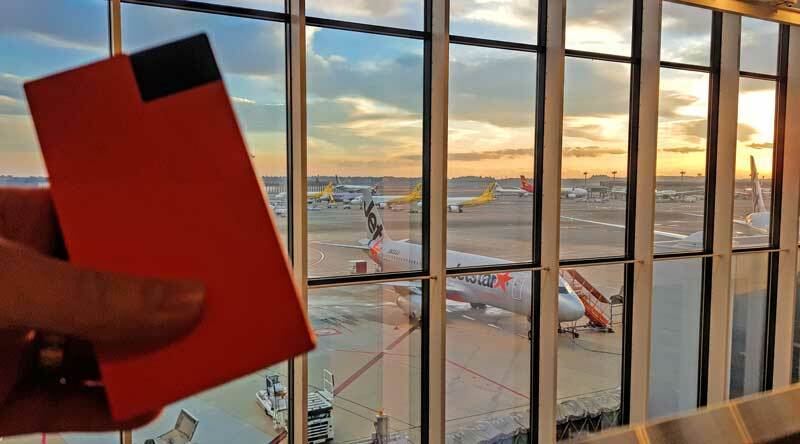 We now have our own Roamer R9 that we just need to top up before we board our flight, I took it back to Japan in July and will use it on other international travel later this year. A personal device isn’t necessary for everyone, often renting the unit will work best but for us this is the answer to our connectivity concerns when we travel on short notice. Price. At $10 a day the WIFI on the go option isn’t for every traveller but it is an affordable option for those that need or want to stay connected. You know in advance exactly what you will pay and it’s convenient. Effectively for us travelling as a couple it’s the same price as 2 our roaming plans but has unlimited data, no surprise additional costs for data overruns and we could seamlessly use it across all our devices not just our phones. If you want to try out pocket WIFI on your travels, WIFI2GO have offered a discounted rate of $8 per day for all countries to our readers until the end of January 2018. You just need to mention 2 Aussie Travellers when you book. Multiple devices. While our mobile phones are always handy we are also heavy users or our tablets and laptops. It was convenient to be able to set up each device once on our travels and then have it connect automatically each time we turned it on without having to teether or go through other connection and setup procedures each time. Easy to use. When we landing in Japan the device was ready to go. I pulled it out of our bag as we boarded the train from the airport into Osaka, a long press on the button to turn it on, give it a few seconds to go through it’s startup routine and find a connection, a short press and it gives you an ID and password that stays the same for the whole trip. Open your phone or other computer and go to WIFI settings, find the ID that it just gave you and enter the password shown on the little screen. We had both phones online in a matter of minutes, before the Airport Express even pulled out of the station. Other than charging it each night it really didn’t need any attention, it spent almost all of it’s time in a side pocket of my bag or day pack. The amount of data. We are fairly intensive on data across our devices at home in Australia and ideally that doesn’t change much when we are travelling. I felt comfortable knowing that we had unlimited data for the one fixed daily price. The data speed. No one likes to wait for a page to load, especially when you are doing something time sensitive like working out which train platform you need to be on or translate a signboard for directions. The first 500 MB of data each day is at 4G speed which in Japan was good and fast everywhere we visited on this trip, if you go over that quantity you still have unlimited data but it throttles back to 3G. You’ll mainly notice that speed difference if you are doing something like video streaming or uploading photos to the cloud. We only went over the 500 MB twice during the 15 day trip, both related to video upload. Modern device. 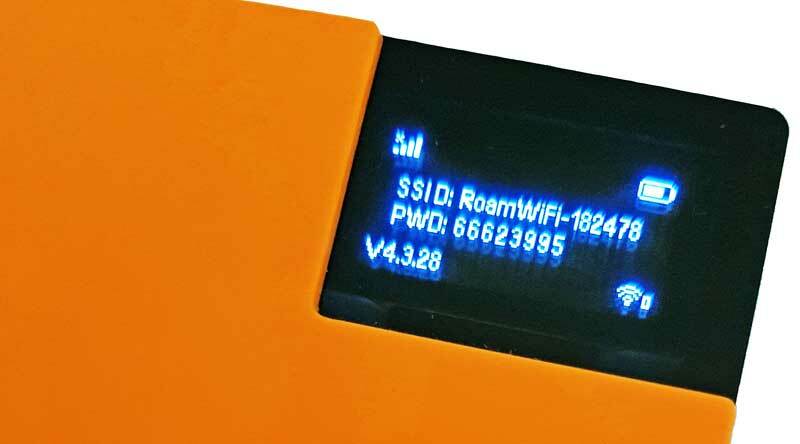 The WIFI Roamer is a compact device that easily fits into a coat pocket or bag, it’s about the size of a regular mobile phone or battery pack and held its charge all day despite fairly intense use. It stayed constantly connected throughout the trip and we weren’t exclusively in major cities or even towns, several times we were half way up a mountain such as Mt Takao in Tokyo or the hills of Minoo in Osaka. Booking and receiving the device in Australia. While you can rent and collect mobile WIFI devices in many countries including Japan we really appreciated the convenience of having the device delivered to our door and in our hands before we left Australia. On our return I simply posted it back. Despite this you still only pay for the days that you are travelling and using data. Wifi2Go Australia stood out to me because it offered a good amount of data, 4G speed and we could receive the device before we went and post it back on our return meaning we didn’t need to waste any precious time on the ground tracking down or picking up a pre-booked device in Japan. We all travel differently and all have different requirements for connectivity based on our personal circumstances and life stage. What do you find works well for staying in touch on your adventures?